MSPs, what protection are you offering your clients? Ransomware continues to spread at an epidemic level, and with that comes a need for an advanced security solution that includes ransomware protection. From a Managed Service Provider (MSP) perspective, this is a massive opportunity to provide a higher level of protection to PC users. 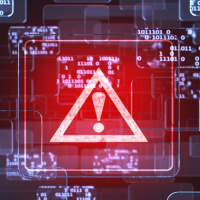 MSPs provide various options for endpoint security, and ensuring their solutions include application whitelisting is imperative, according to MSPMentor. The latest SANS report identified ransomware as the primary threat against the financial sector, pushing phishing scams down to second. With the knowledge that this threat is growing, and our security protection is lacking, now is the time to find the proper solution. It is the job of MSPs to provide superior endpoint security to protect client’s data from cyber security criminals. Unfortunately, it’s getting harder and harder to do so. PC Matic MSP believes by providing a secure endpoint protection platform that implements application whitelisting technology and patch management, as well as having multi-factor authentication measures in place, your data is less likely to be stolen or encrypted. Ransomware, RansomwareWar MSPs, ransomware. permalink.